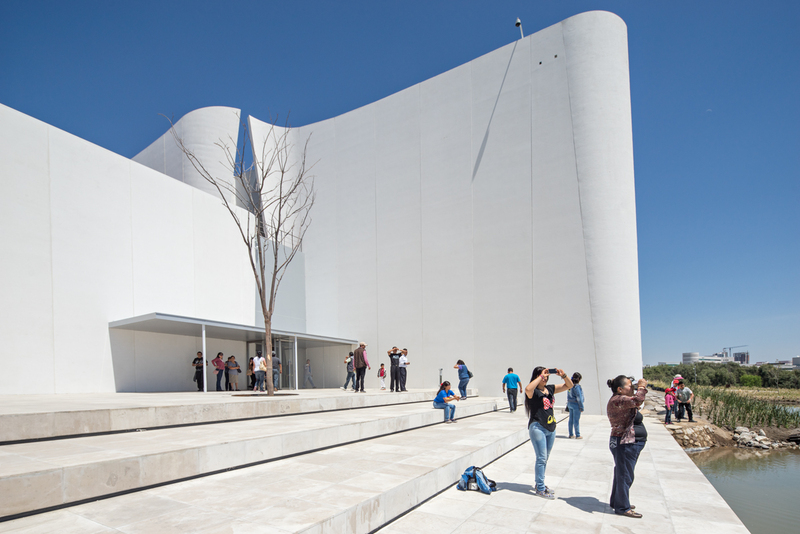 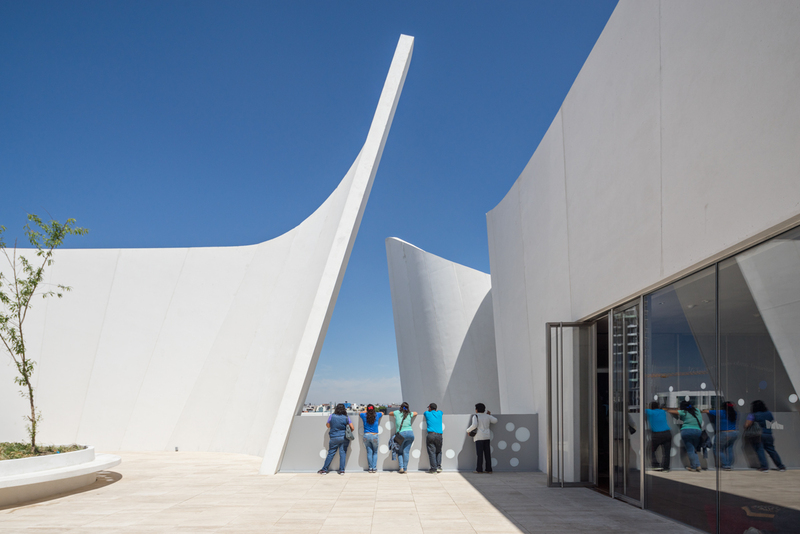 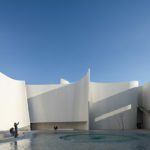 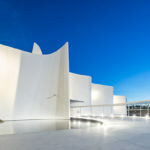 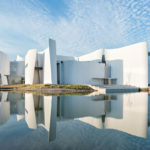 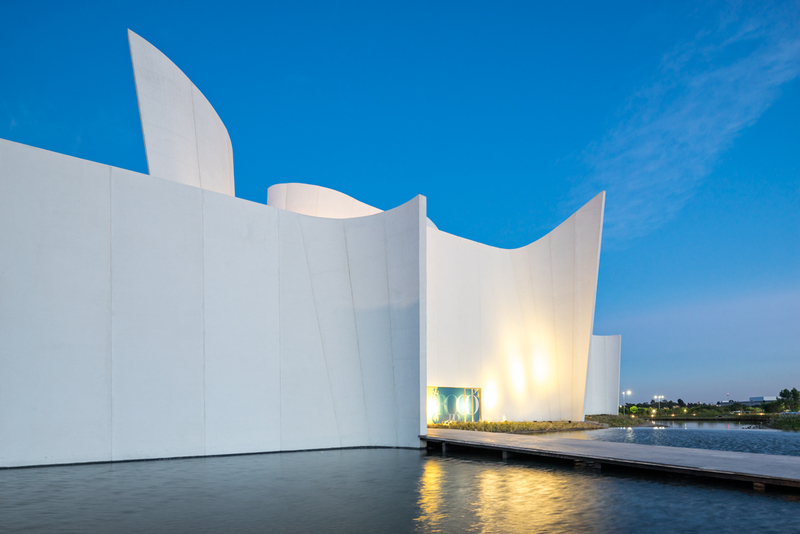 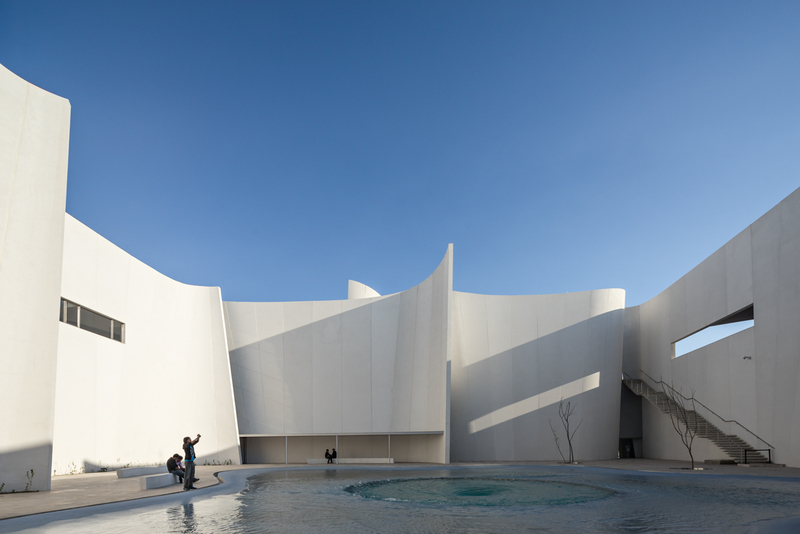 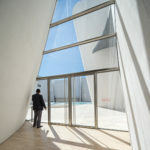 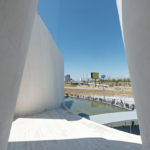 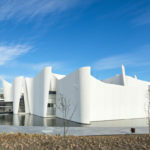 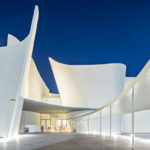 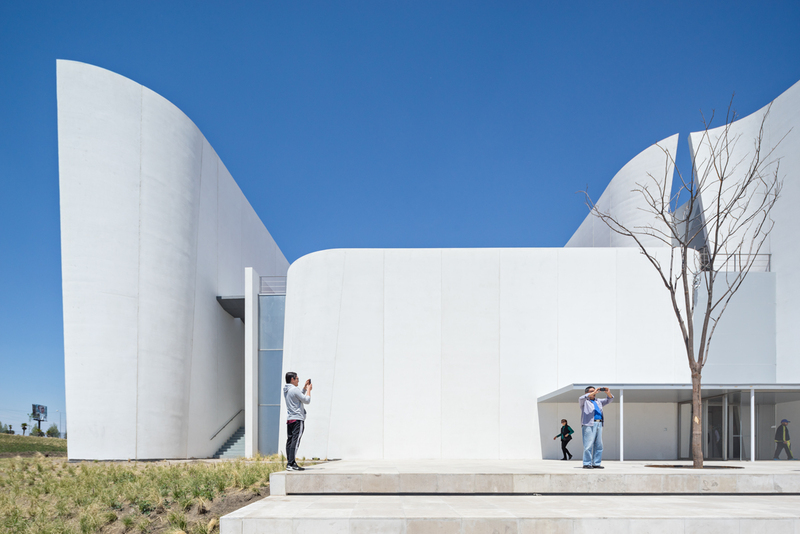 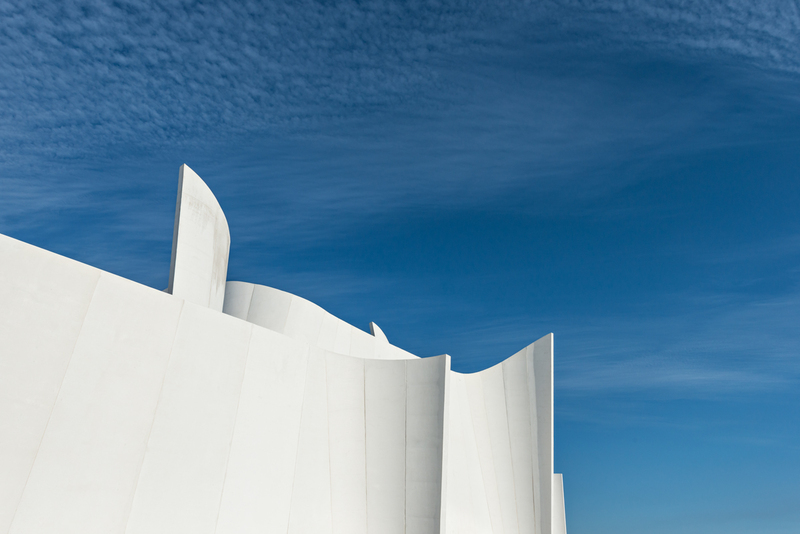 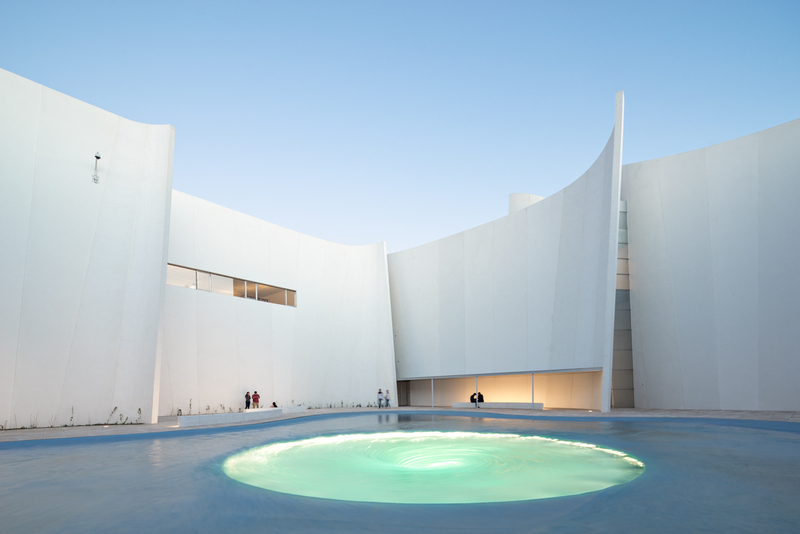 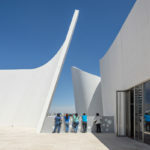 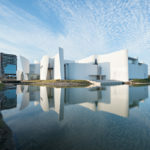 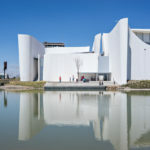 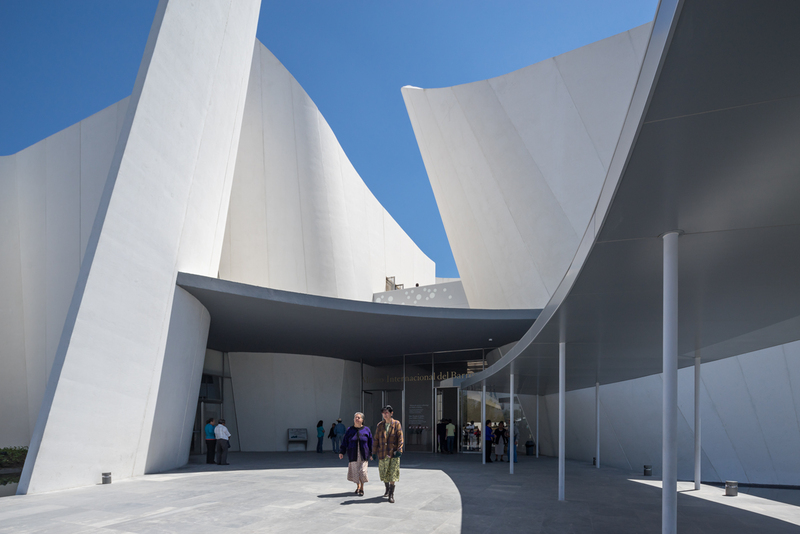 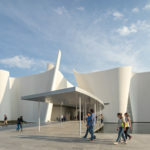 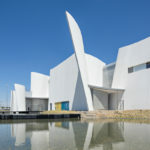 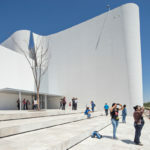 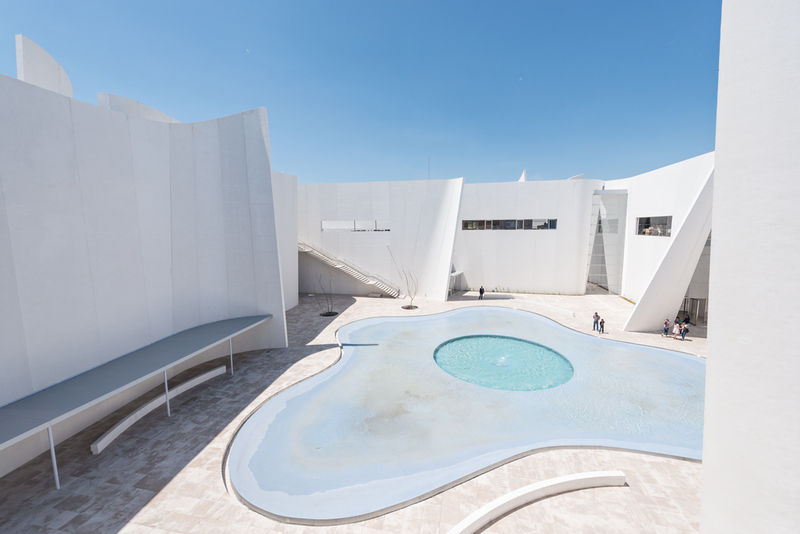 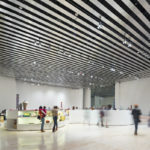 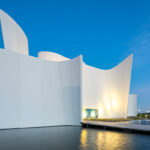 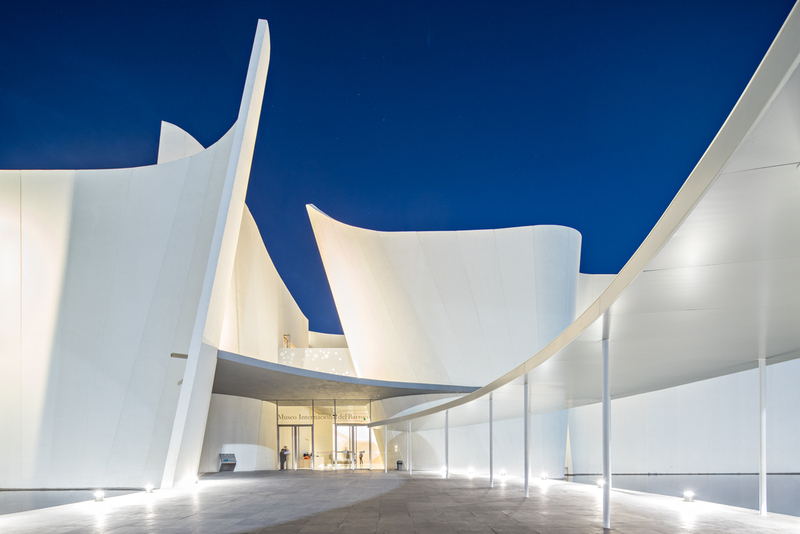 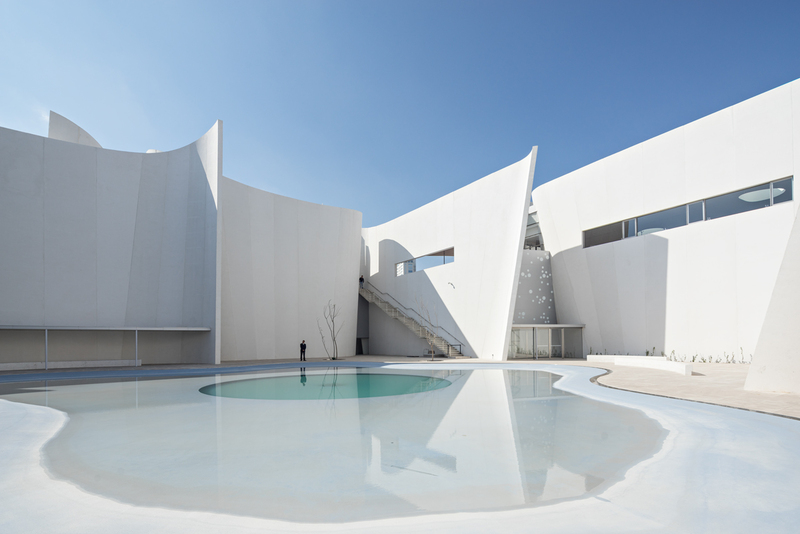 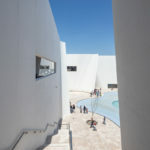 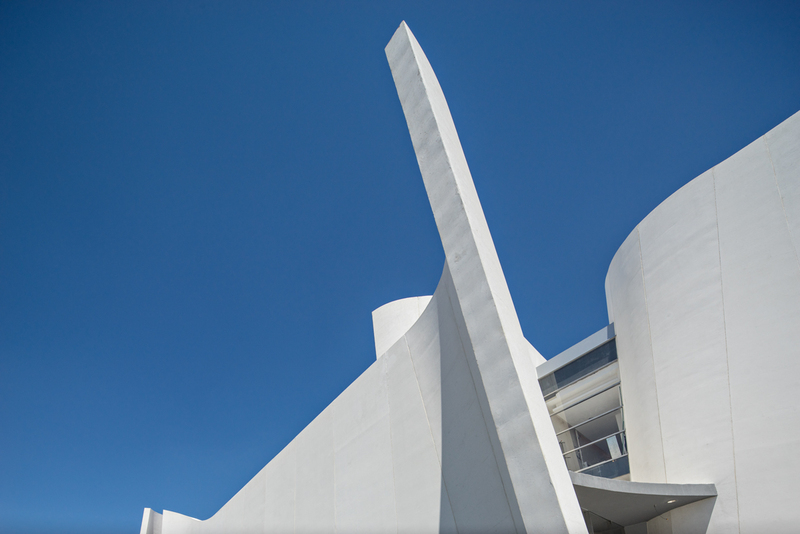 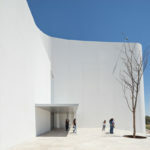 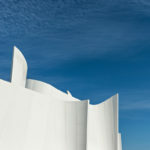 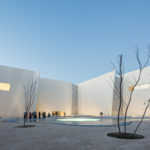 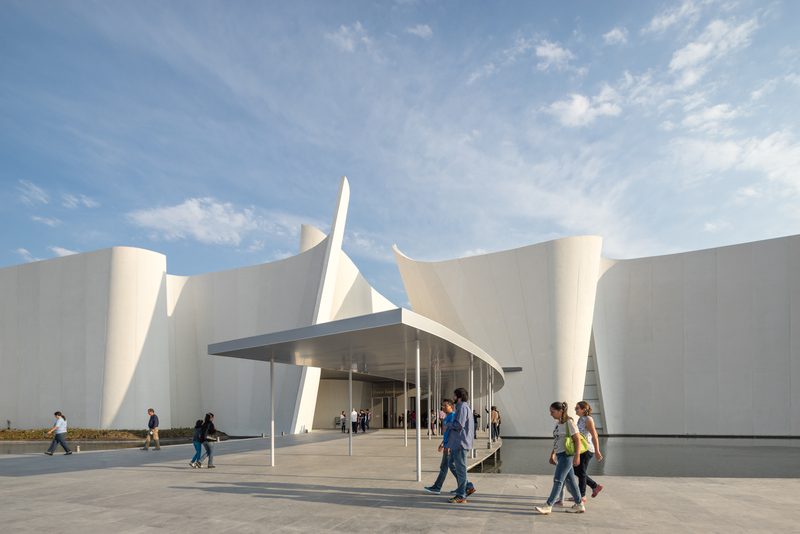 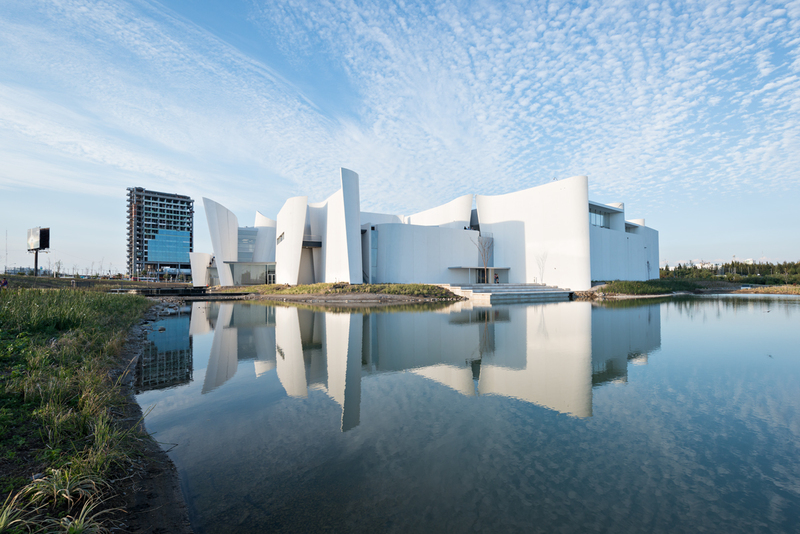 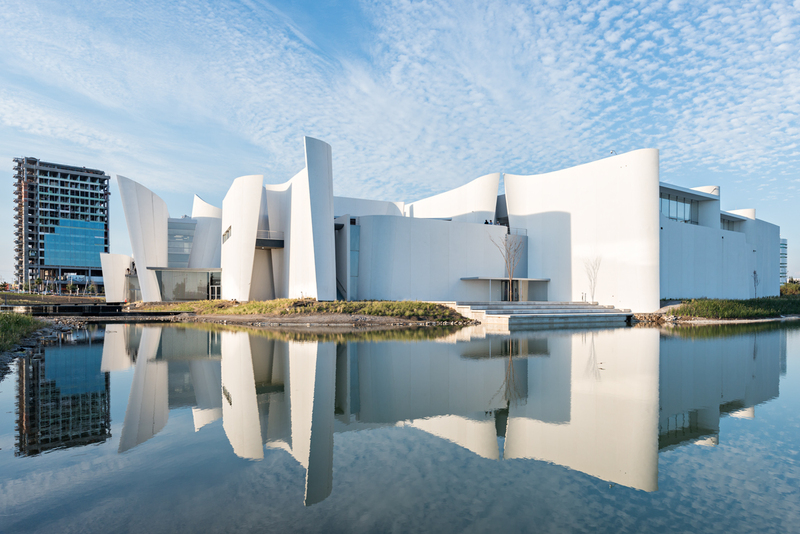 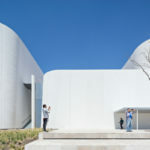 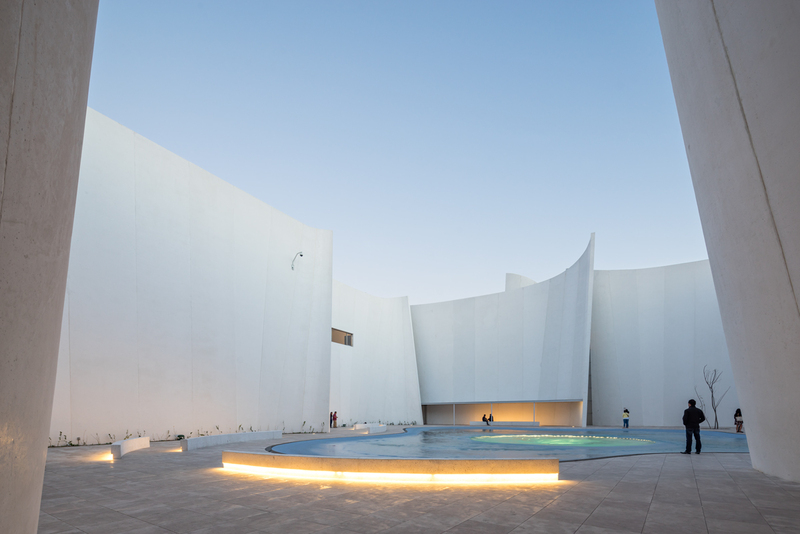 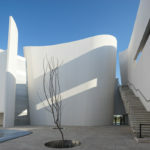 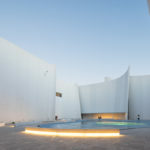 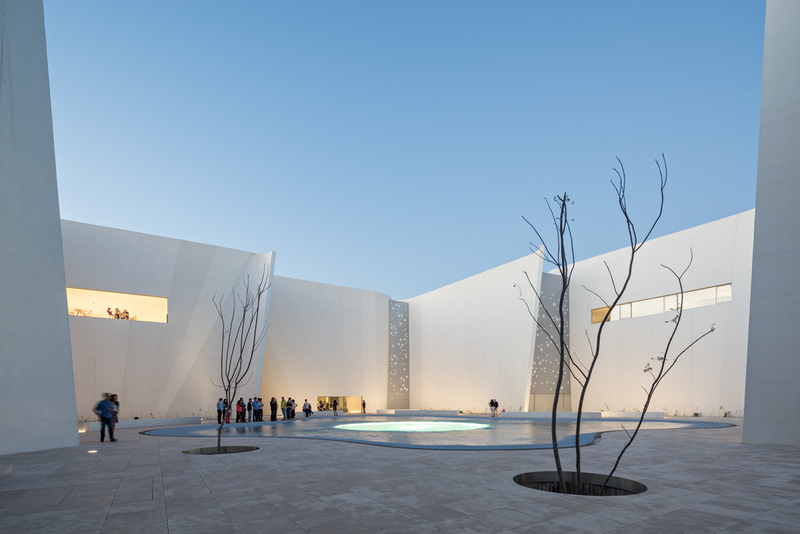 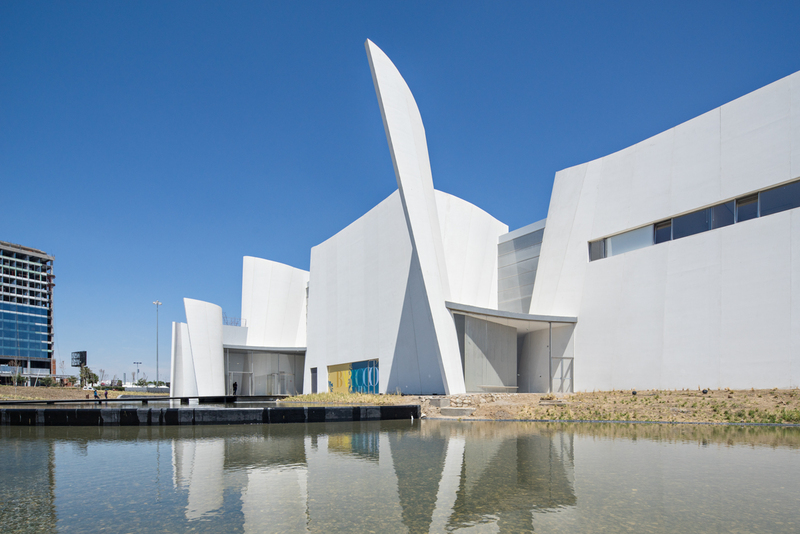 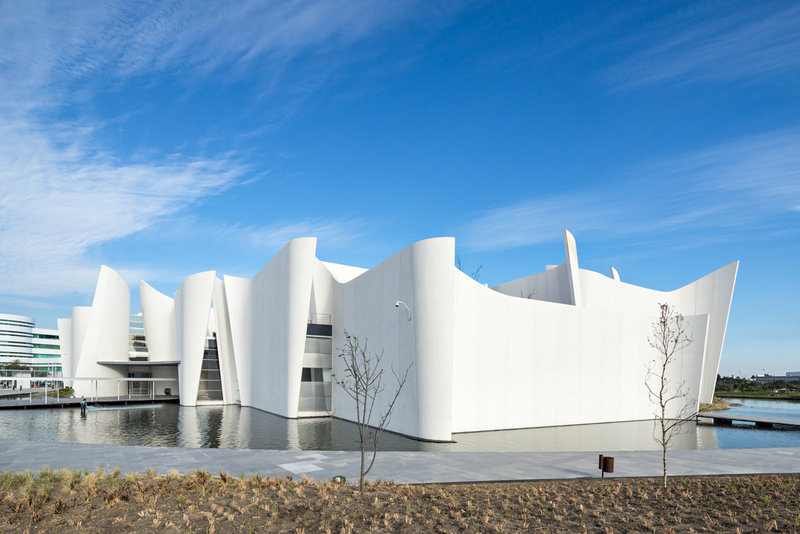 Japanese architect Toyo Ito has unveiled the International Museum of the Baroque (MIB) located in the Mexican city of Puebla, Southeast of Mexico City. 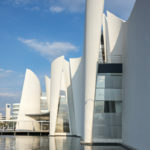 As stated in its name, the museum is dedicated to the Baroque movement which began in 17th Century Rome. 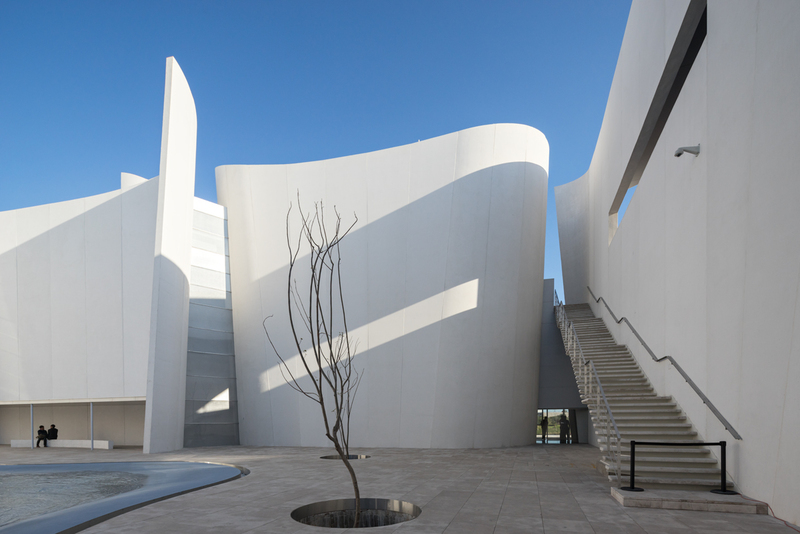 In a contrast to the intricate details and grandeur commonly associated with the movement, Ito instead employs a sculpted and flowing, all-white, 10-inch thick pre-cast concrete forms that evoke the scale and tension that was also synonymous with the Baroque period. 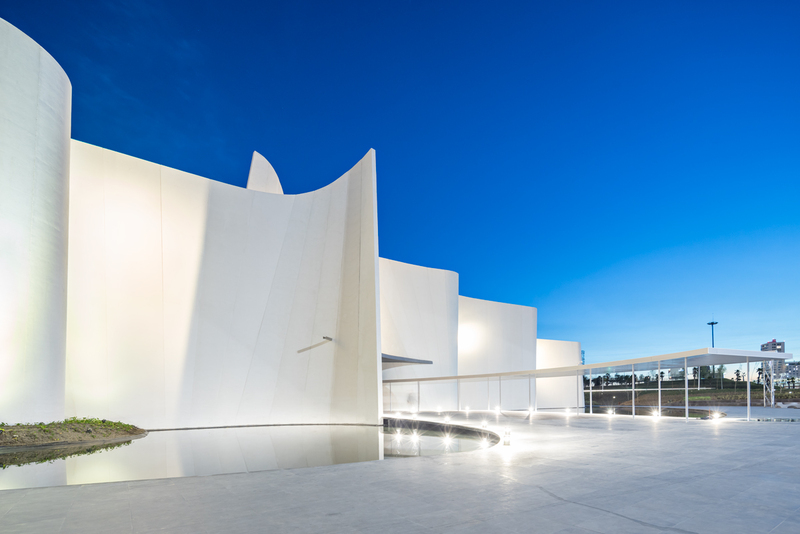 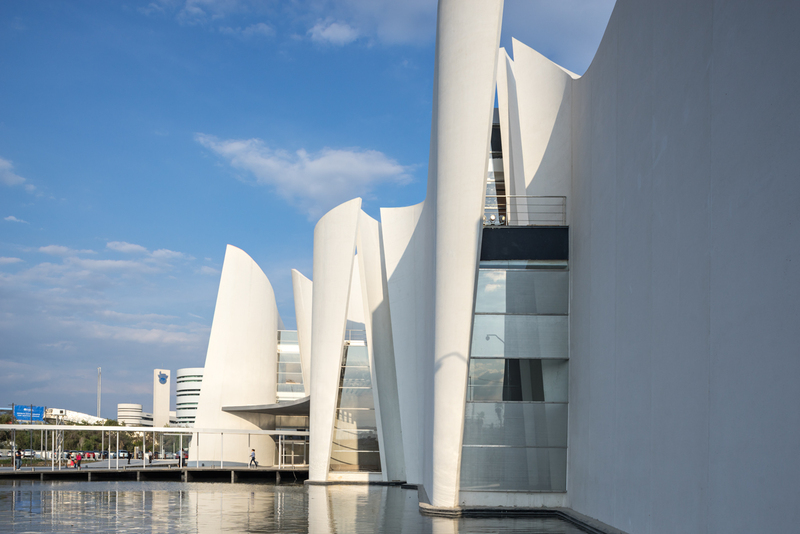 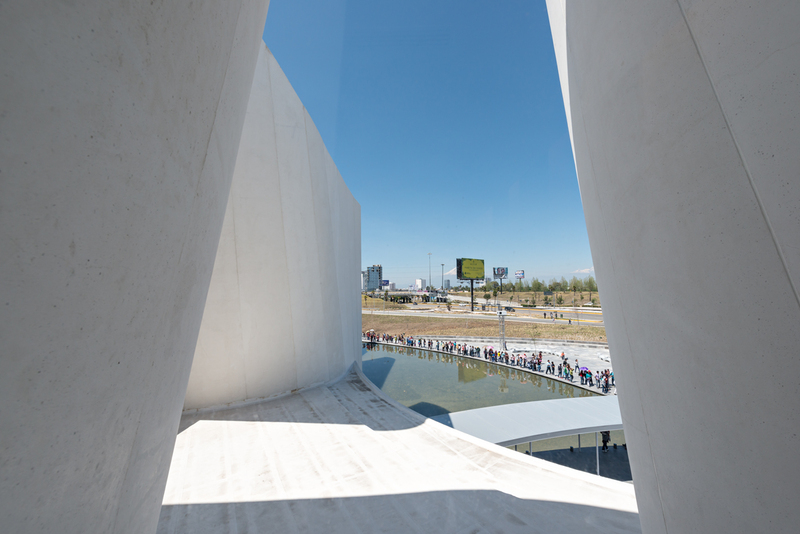 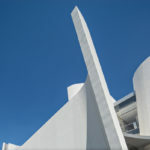 A prominent feature throughout the building, the Corbusier-esque concrete slabs were realized with Ito’s firm working alongside specialist precast concrete firm Danstek from Mexico. 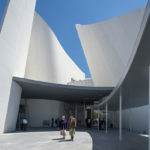 Externally, the precast walls exhibit a a bush-hammered texture while on the inside, where the concrete was cast in situ, a much smoother surface is used. 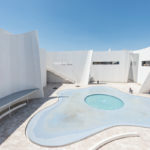 “In the MIB we try to break and dissolve the cold and rigid order to achieve fluid spaces,” says Ito’s firm in a press release. 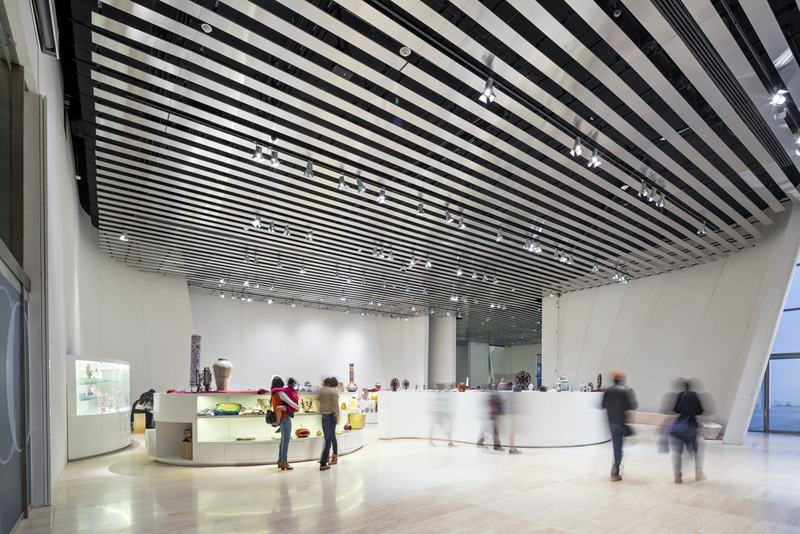 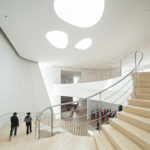 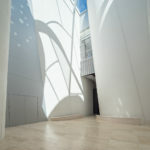 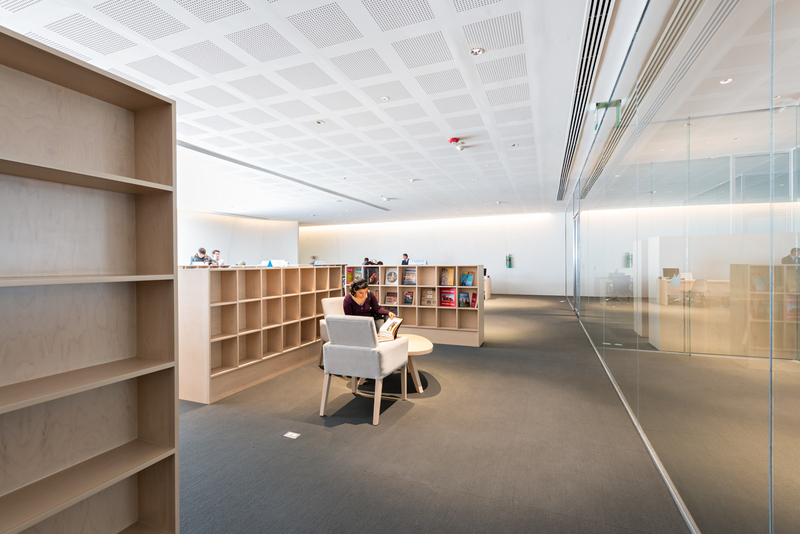 “We hope that when people move from one room to another, they experience a baroque space.” Indeed, circulation in the building revolves around a light-filled dome. 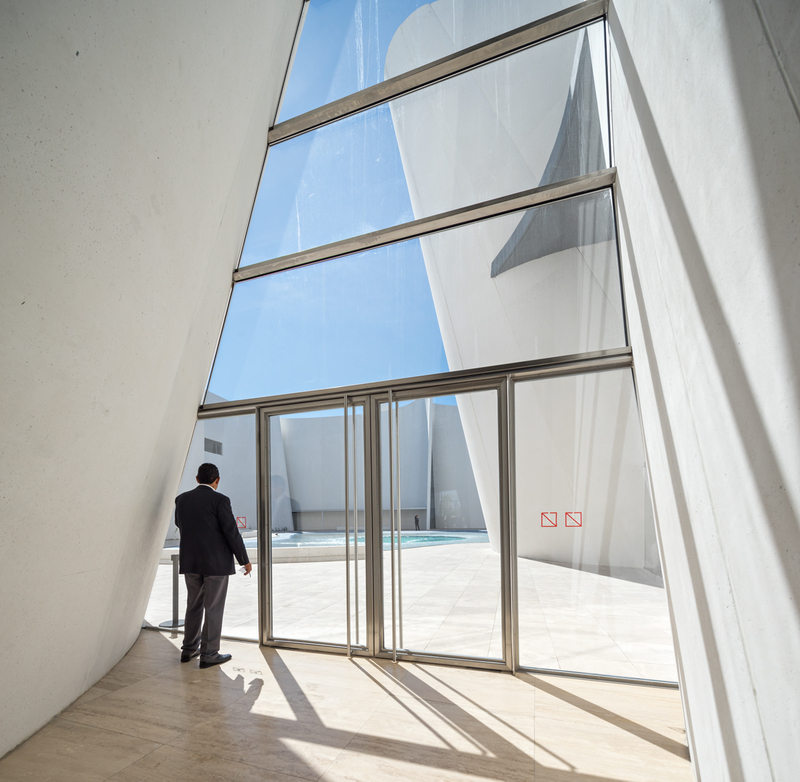 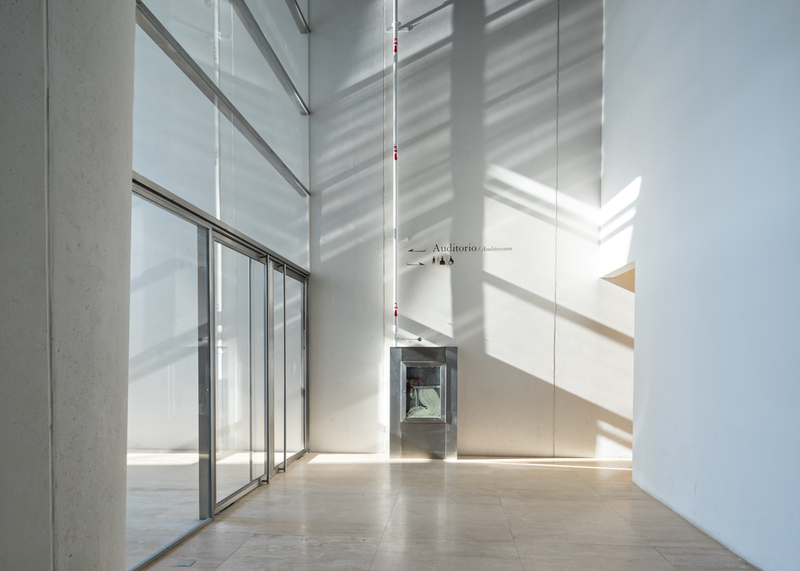 Light, thanks to the coloration of the concrete creates a spacious and calm environment and was an important element in the museum’s design. 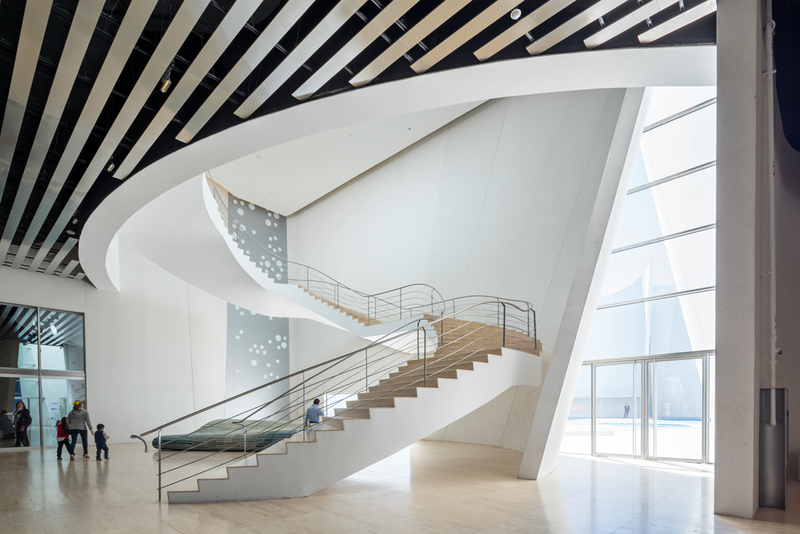 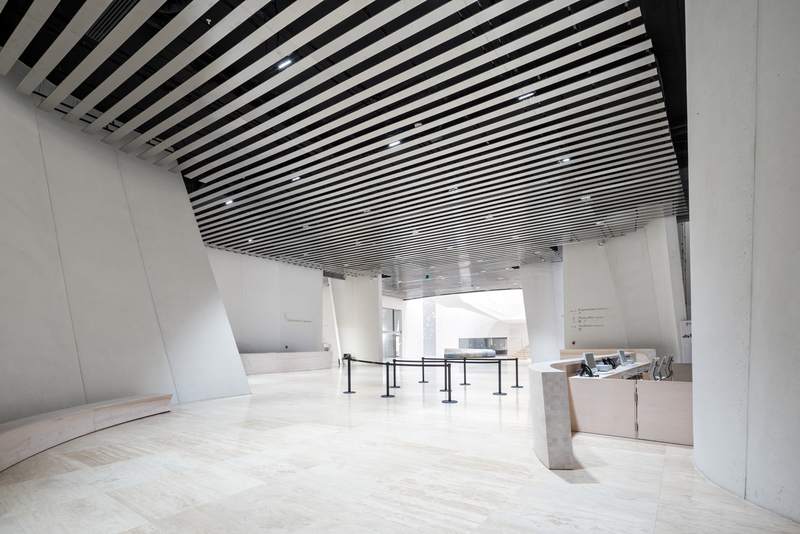 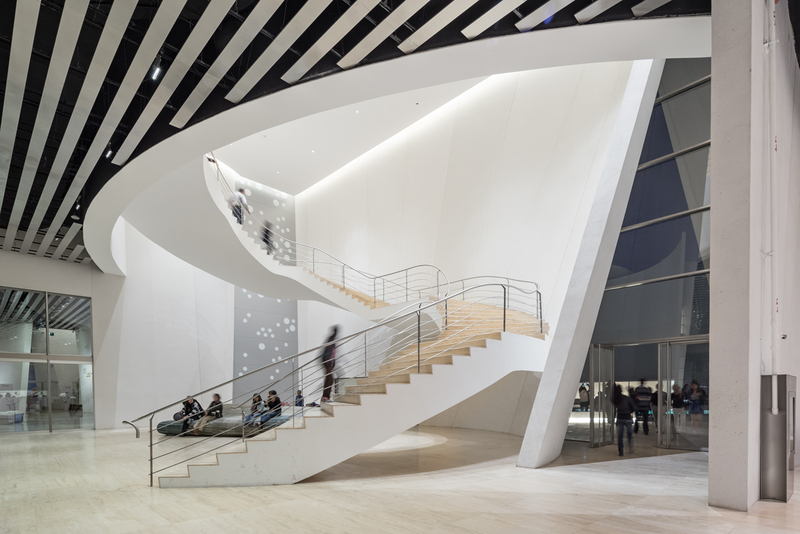 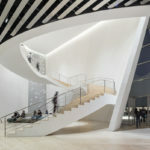 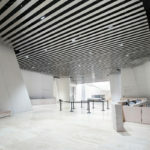 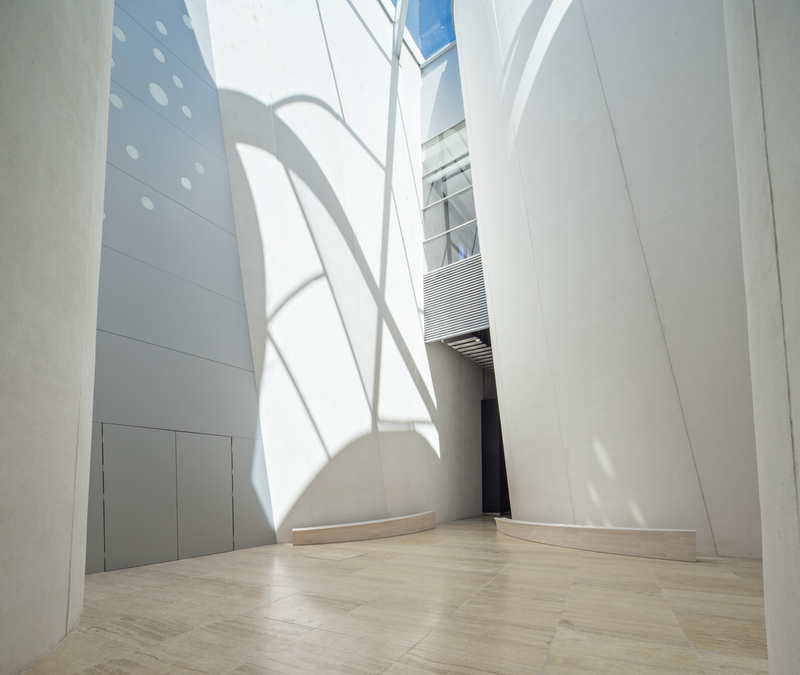 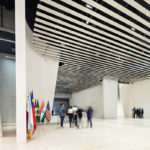 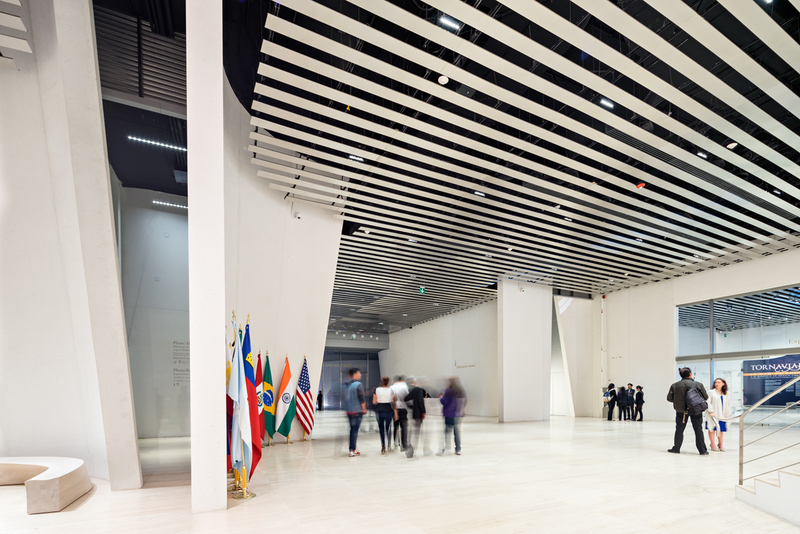 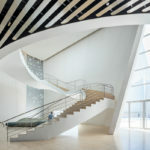 Rising to 65 feet, the two-level museum houses a curving staircase in the main atrium, a 300-seat auditorium, and exhibition halls for both permanent and temporary installations. 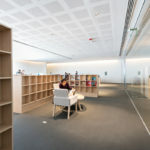 Some of those spaces can merge to form larger rooms. 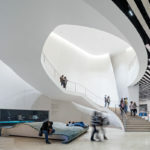 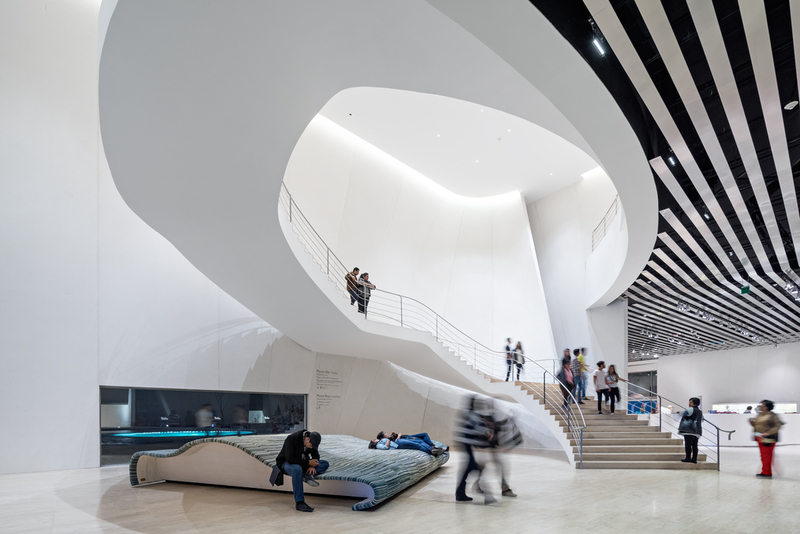 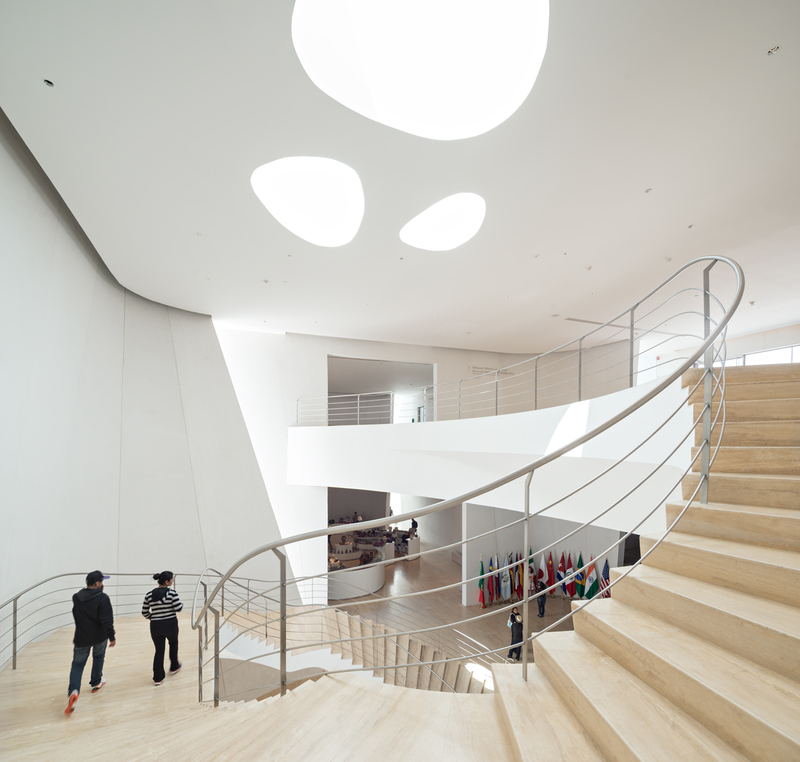 Also included in the main atrium are large undulating seating areas that reflect the surrounding water, designed by Ito’s compatriot Kazuko Fujie Atelier. 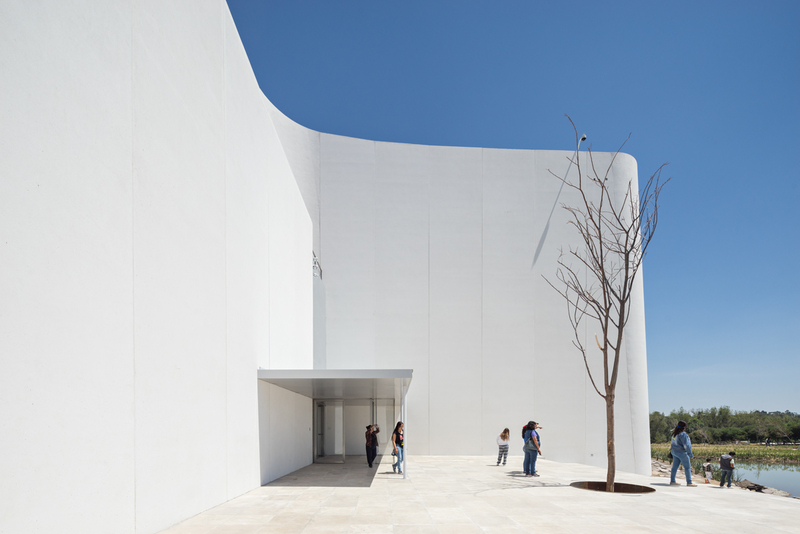 The design brief handed to Ito stipulated that the building, due to its location, should be sensitive of its natural surroundings. 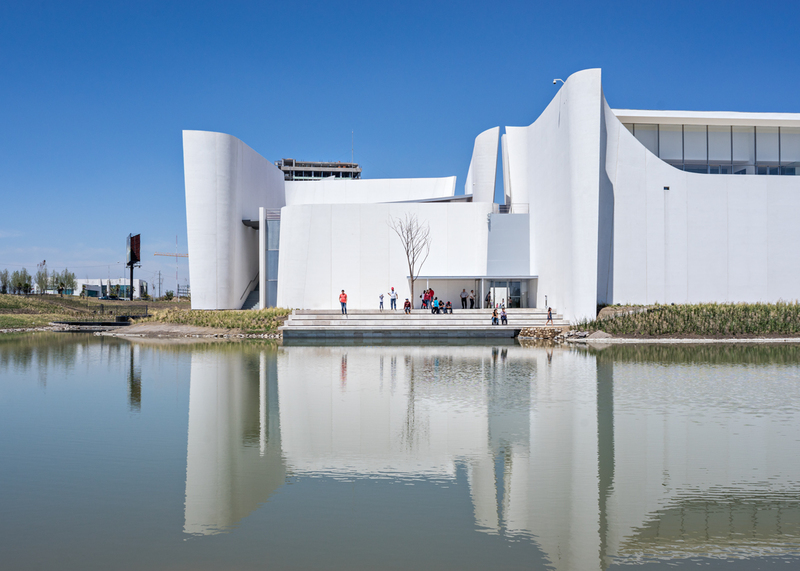 The MIB sits on a plane of water amid the Metropolitan EcoPark of Puebla; over the last for years the park has run programs examining the relationship between humans and nature. 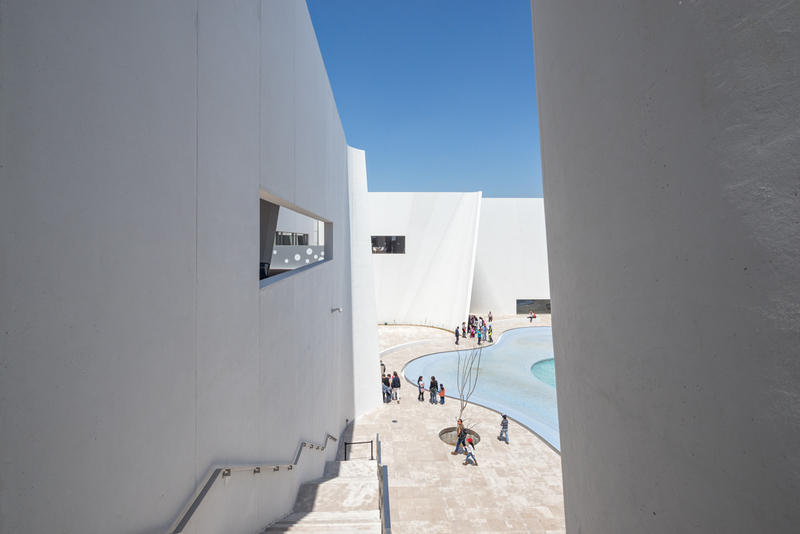 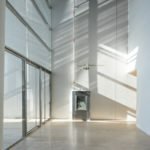 Echoing this, the museum’s terraces provide visitors views across the park while the museum itself makes use of the areas steady climate to cool itself and lower its energy consumption.